Should You Upgrade to iOS 12? Apple released the iOS 12 software for their mobile devices on 17 September 2018. If you have an older iPhone or iPad, you may be wondering if you should upgrade. The new iOS has several new features that may make you want to upgrade, including overall improved speed and performance, a more organized Notification Center, Memojis, improved AR experience, Screen Time features to improve parental controls and fight screen addiction, an updated Photos app with new editing and sharing capabilities, and many other improvements and fixes. When considering an upgrade, it is important to check if your device is capable of running the new iOS. Apple publishes a list of compatible devices with each new iOS version. Older devices not on the list can not run the new iOS. According to Apple, the iOS 12 software can be used on the following devices. Should I Upgrade My iOS? Generally, the newer model devices will run the new iOS without any issues. However, things get a little more unpredictable for older model devices near the bottom of the list. While these devices may technically be able to run the new iOS, their performance may suffer because they have older processors and less RAM than the newer devices. 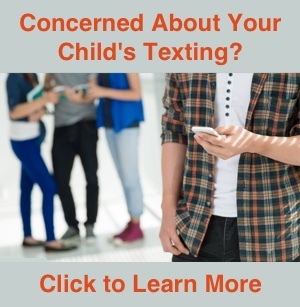 The performance decrease could be minimal and some people may see no difference in speed or responsiveness while others may notice their device appears to run slower or feel sluggish. Apple claims iOS 12 has been designed to be significantly faster than iOS 11. Therefore, anyone running iOS 11 should not see a performance decrease after upgrading to iOS 12. If you are running iOS 10 or older, the upgrade may be a slight performance impact on older model devices. Apple tries to ensure the best user experience possible when determining which devices are compatible with a new iOS. However, it is difficult to predict how an old device will handle a new iOS version. If there is a noticeable decrease in speed, this is typically evident regardless of which app you are using. Things like opening and closing apps may take a fraction of a second longer. App responsiveness when using an app may seem a bit slower than it was. The impact generally isn’t significant, but it can be noticeable. Given iOS 12 is supposed to provide a performance increase over iOS 11, you should not see any performance issues when upgrading. If you are still using iOS 10 or older, beware that some of your old 32-bit apps will not run on iOS 12 (they wouldn’t run on iOS 11 either). If you see warnings about the developer needing to update the app, chances are it will not work with iOS 12. From what I have seen so far, most older devices work fine after upgrading to iOS 12. More information will become available in the weeks after iOS 12 is released. If you have an older model device and are unsure about the update, it’s probably best to wait and see how iOS 12 is actually performing before taking the plunge yourself. It is a good practice to backup your device before upgrading just in case something goes wrong with the upgrade. This article from the Apple website provides more information about backing up your device. You can easily update the iPhone or iPad by going to Settings -> General -> Software Update. Tap Download and Install then follow the on-screen instructions to complete the installation. What Can I Do If the New iOS Isn’t Working Right? Typically you will not have an issue when upgrading the iOS on your iPhone or iPad. If something doesn’t seem right after upgrading, you can try restoring the device to reinstall the new iOS. A fresh installation of the iOS may resolve the issue. 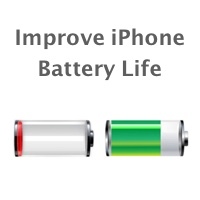 This article from the Apple website explains how to restore your device. 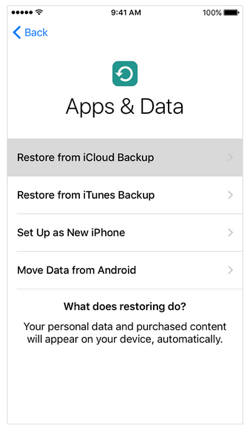 Restoring the backup you made prior to beginning the upgrade will reinstall all your data on your device. Can I Go Back to an old iOS If I Don’t Like iOS 12? When you install any iOS version on your device, it will check with Apple servers to get a digital signature. This is basically a check to make sure the iOS is the latest approved version by Apple. There is only a short period of time from when a new iOS version is released that Apple continues to sign the older iOS. When Apple stops signing iOS 11.4.1, you will no longer be able to downgrade from iOS 12 to iOS 11 on your device. If you think you may want to downgrade from iOS 12 to iOS 11, you will need to move quickly. The downgrade process is more involved than simply tapping a Downgrade button. Instead, you need to download an IPSW file of the old iOS version for your device that is still being signed. An IPSW file is the iOS software file for a specific device. You must then use iTunes on your computer to load the IPSW file to your device. There are many articles on the Internet describing the downgrade process. While it isn’t difficult to downgrade the iOS, it isn’t something everyone will want to attempt. Typically you won’t have an issue when upgrading a fairly new iPhone or iPad model. It is the oldest models on the iOS device compatibility list that could potentially suffer a performance decrease. You will need to weight the advantages and new features of the new iOS to determine if it is worthwhile upgrading an older device.